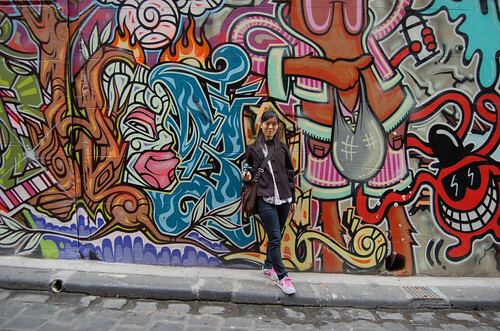 Melbourne has all these crazy laneways–some of them filled with art like this at Hosier Lane. Ang and I spent a good amount of time here just taking tons of pics. The colors were amazing, our cameras loved them.